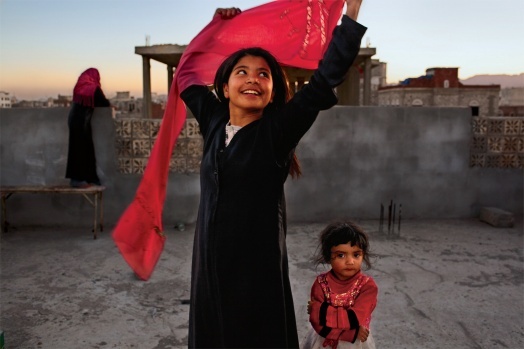 Visionary women share their perspectives about local and global issues through their visual lens of professional and community involvement, photography, and creativity based on the compelling exhibition Women of Vision: National Geographic Photographers on Assignment. FREE event: Panel discussion will be in the James B. Duke Auditorium from 6:30-8 p.m.
B. Noel, Owner, Noel Art Liaison, Inc. Enjoy a full evening of FREE community access to Women of Vision from 5 to 9 p.m.! Also enjoy our Wine on Wednesdays program – a cash bar serving red and white wine and special one-night-only Museum Shop merchandise discounts will also be available from 5:30-8:30 p.m. Image credit: Stephanie Sinclair. 2011. Vujood Ali stunned the world in 2008 by obtaining a divorce at age ten in Yemen, striking a blow against forced marriage.